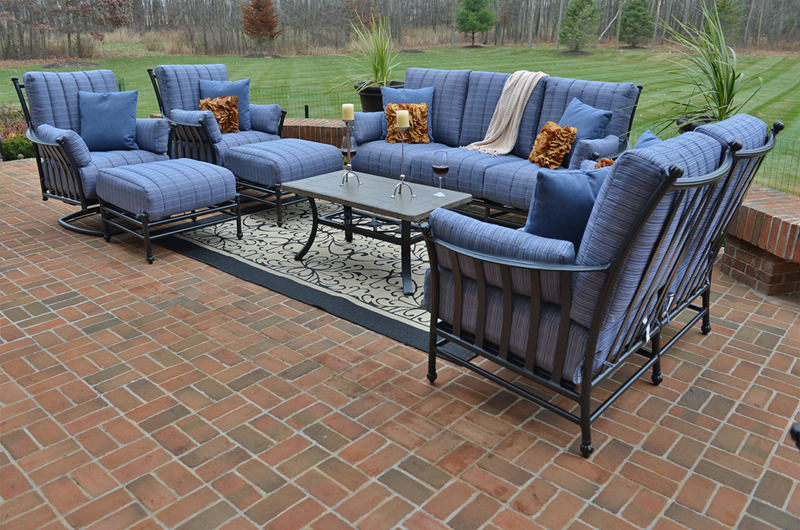 With its sleek design and intricate detail the upscale Amia cast aluminum deep seating set will leave your guests astounded by its beauty, sophistication and style. 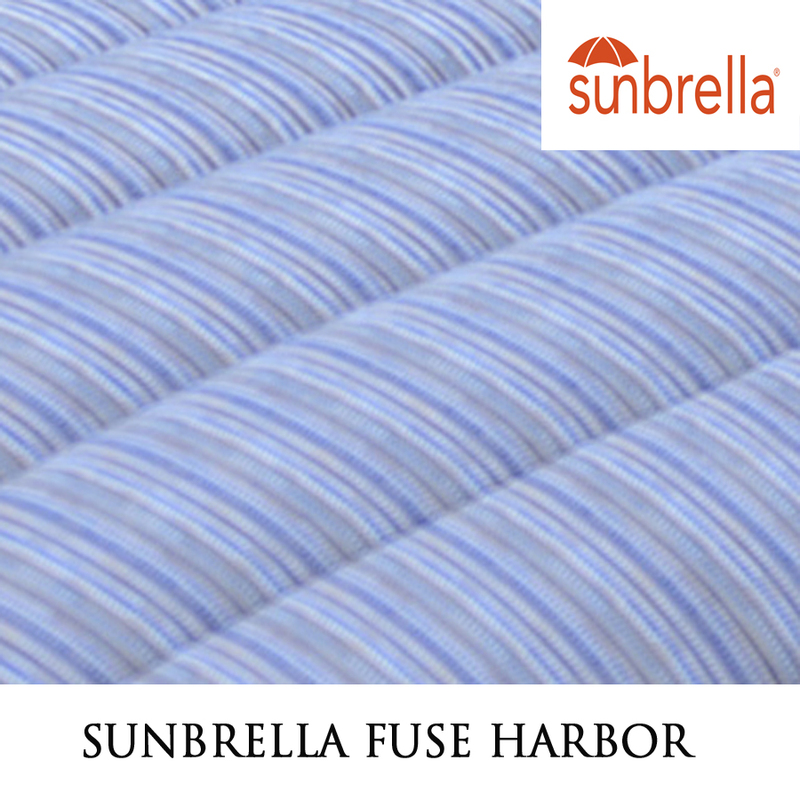 Linger in the outdoors as you cloak yourself in comfort with the extra thick, oversized cushions wrapped beautifully in Sunbrella Fuse Harbor fabric. 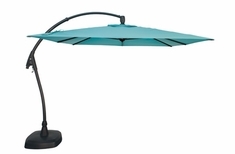 The deep, rich blue color dazzles in any open-air space without fading in the harsh sun. 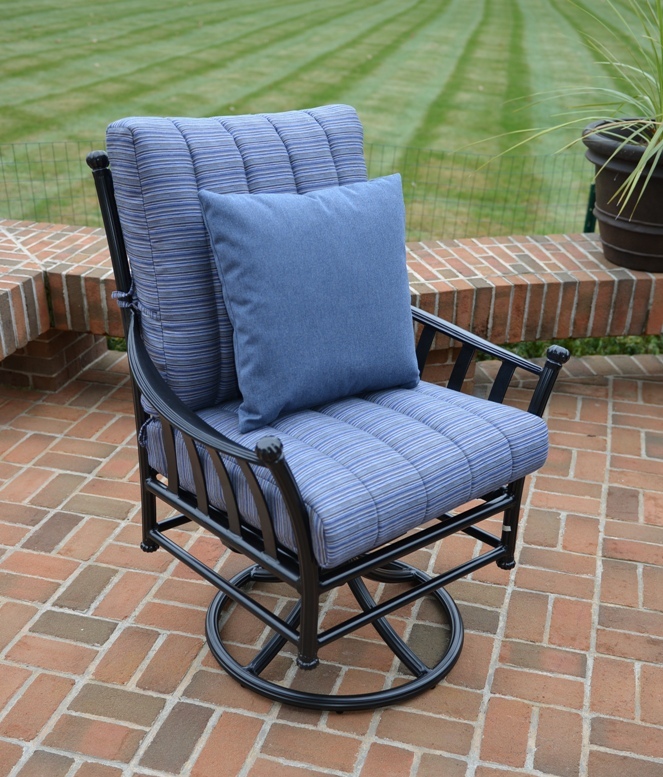 The generously sized seats and high backs are designed to accommodate a natural sitting position and the flared sides leave ample room for added comfort. 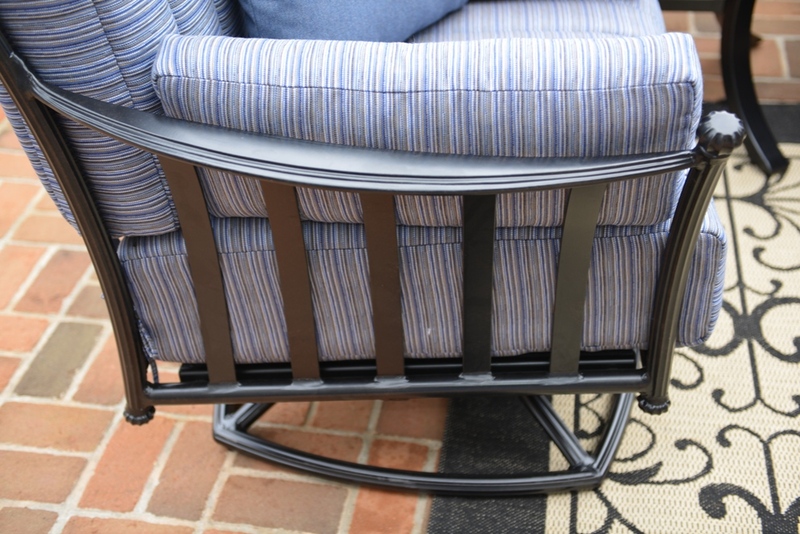 The fully welded, powder coated aluminum frame, finished in Onyx Black, is easily maintained and will not rust or corrode in the rigid weather elements. Unique to this collection is the cast aluminum table top with a stunning stone finish adding that extra touch of panache'. 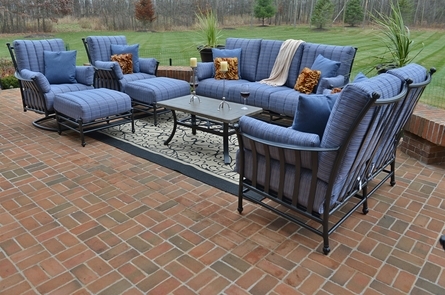 This patio furniture deep seating set is indoor style for outdoor living allowing you to enjoy a first class resort in your very own backyard. At Open Air Lifestyles, LLC satisfaction is our top priority and we want you to be completely satisfied with your purchase. We have set specific guidelines to ensure a quick and hassle-free return and exchange process. We have a fully staffed team of experts who can walk you step by step through this process. Item Sale Price Price Qty.